For me, Apple’s entry into this space is certainly good news for elderly care and the growing number of seniors that wish to live out their lives at home — better known as “aging at home.” According to an AARP survey, nearly 90 percent of seniors want to remain in their home for as long as possible and 80 percent believe they will always live in the same home. Some 12 million Americans are already following this route. So when a giant of personal tech such as Apple adds technology that directly addresses solutions for aging at home, it puts the topic front and center in a way that only Apple can. The addition of the feature boosts awareness that there is a need to include fall detection systems in mass made personal tech devices. But, if I am honest, for all the attention the Apple Watch is generating, consumers interested in aging-at-home solutions need to exercise caution. That’s because Apple Watch doesn’t really address the needs of this population or their loved ones who want peace of mind that seniors are safe. For one, Apple Watch doesn’t represent any significant technological advance to the table for fall detection. The same solution already exists in other fall-detection products: the watch’s fall detection system is based on accelerometer and gyroscopes, the same technology your smartphone uses to know when to rotate its screen. I think the main problem with this technology is that it lacks understanding of the context of the activity and tends to generate false alarms — creating stress and headaches for family and the senior. An everyday event like plopping down onto a couch sometimes looks like a serious fall. The second issue with the Apple Watch is that the technology focuses exclusively on detecting what are known as “hard falls” — the kind of spill that causes serious physical damage. Why is that a problem? 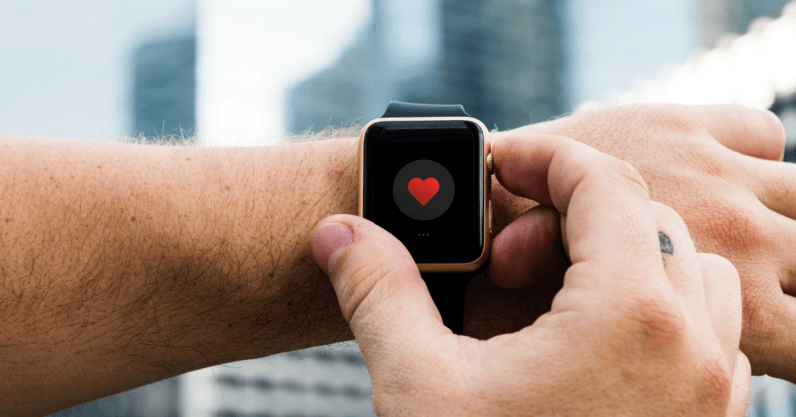 Because the Apple Watch doesn’t detect “soft falls,” an equally dangerous risk factor for seniors that account for the majority of real-life falls. Though this kind of slip causes less physical damage than an all-out crash on the ground, low-level falls are just as threatening for a senior’s life horizon. Take for example a senior who slips to the floor while getting out of bed. This common type of fall has low impact and will not trigger a standard fall detection system. Seniors may not be able to get up by themselves, and end up lying for hours on the floor waiting for help to arrive. Even though the senior experiences no major body injuries, incapacitation from such a fall can cause hypothermia, pressure sores and mental trauma — about 50 percent of these elders die within six months of the fall. Crucially, even though the Apple Watch might be super convenient and slick for millennials, I believe it will be more challenging for seniors. For one, the watch needs repeated recharging daily, requiring constant monitoring by a senior. Secondly, the small touch screen interface is not ideal for seniors because it requires fine motor coordination skills that often begin to erode at advanced ages — many will find themselves fumbling to hit the right buttons. Another problematic factor for the aging-in-place population: the Apple Watch doesn’t send fall alerts to a 24/7 dedicated call center, where care-specialists use discretion in dispatching help. To be sure, the watch does send alerts to 911 or a designated family member. But for seniors living alone, this is not a practical solution. In the event of false alarm, ringing a family member creates extra headaches and stress for the family; calling 911 and dispatching an ambulance can generate unnecessary monetary costs. My prediction for 2019 is that the truly effective personal technology devices will need to get beyond just fall detection and focus on senior wellness. These systems need to address pre-emption just as much as they need to handle accident response. If you can detect small changes in behavior or an alteration in a senior’s daily routine — like a decline in meal preparation time, or an increase in sleep during day time — it might actually be warning sign of a deterioration in physical or mental condition, or the onset of a disease. Effective wellness monitoring allows for the use of technological solutions that can employ predictive insights. Using AI, these systems can understand the context of the senior’s activity and track and learn daily routines such as eating, sleeping, and hygiene. That empowers family and gerontological support staff to make better informed decisions that can stave off the risks of aging. Looking even further ahead, in the next decade aging at home tech will be better integrated with other domestic devices. These systems will eventually be connected to smart home devices, allowing lights to go on at night to illuminate the path from the bedroom to the bathroom. Control over the systems will be centralized and better automated, anticipating risks and flagging them to family members and to professionals. The size of the aging in place population is only going in one direction; and there’s going to be surging demand for an entire range of personal tech solutions. The Apple Watch 4 is a signal for the technology industry that this is a market they can no longer ignore.